A spokesperson for the Saudi fund declined comment on Musk's statement. 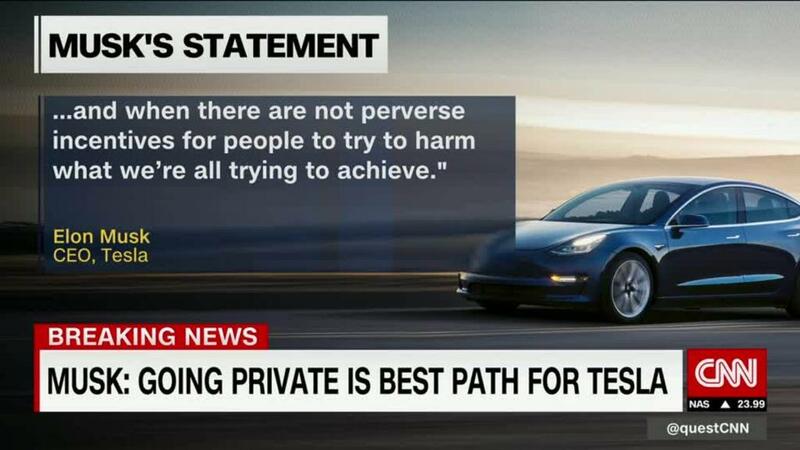 Tesla also declined further comment. A Tesla dealership in Red Hook, Brooklyn, New York. The Saudis are probably not the only ones interested in buying an equity stake in Tesla, said Adam Jonas, an auto analyst for Morgan Stanley. Technology funds and other investors looking for a piece of the next generation of vehicles, including self-driving and electric cars, might also be interested. "Elon Musk may be one of the best positioned players in this ecosystem to explore the size and availability of this pool of capital as anyone else in the market," Jonas wrote to clients on Monday. But Tesla is facing such great challenges, particularly in ramping up its production, that it must come to a decision soon, he said. 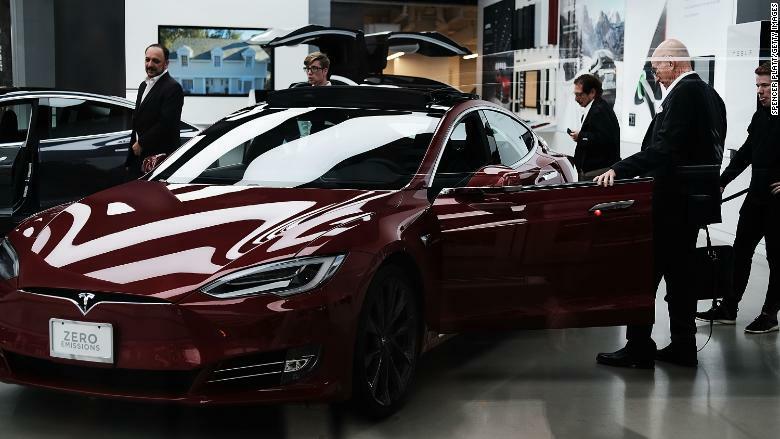 People look at new Tesla cars at a showroom in Manhattan's Meatpacking district on June 6 in New York City. "The longer this situation with no additional details or direction persists, we see reasonable risk that the underlying business could suffer some damage," Jonas said. 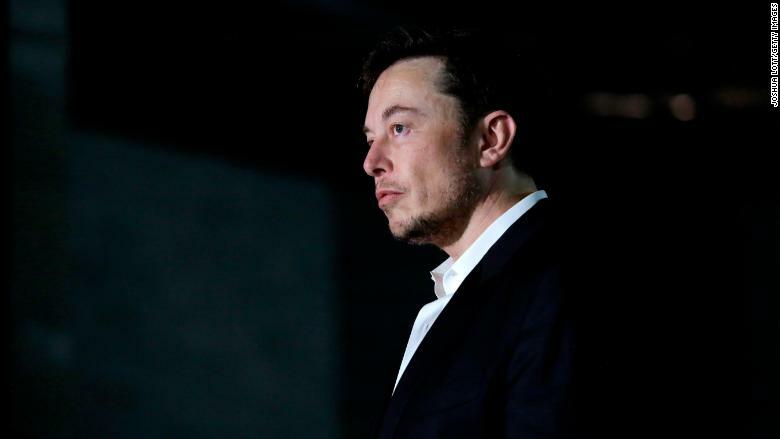 Later Monday, Musk tweeted that Goldman Sachs (GS) and investment firm Silver Lake will provide financial advice on the proposal to take Tesla private. Goldman and Silver Lake weren't available for comment outside of regular business hours. Elon Musk, seen at a news conference in Chicago in June. Tesla stock rose almost 3% in early trading, but it quickly gave up those gains, and it was up only slightly in later trading. 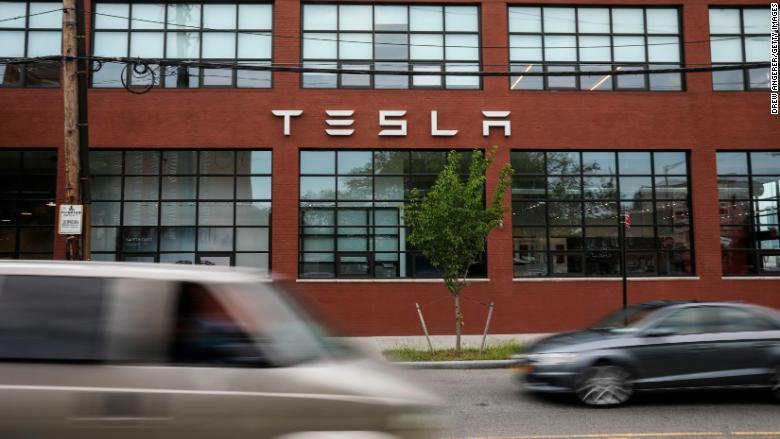 The stock was trading at about $358, far from the $420 proposed price for taking Tesla private. That suggested that many investors remained skeptical of the proposal. There are many obstacles to such a deal. — CNN's Emma Bowden and Clare Sebastian and CNNMoney's Jackie Wattles and Jethro Mullen contributed to this report.